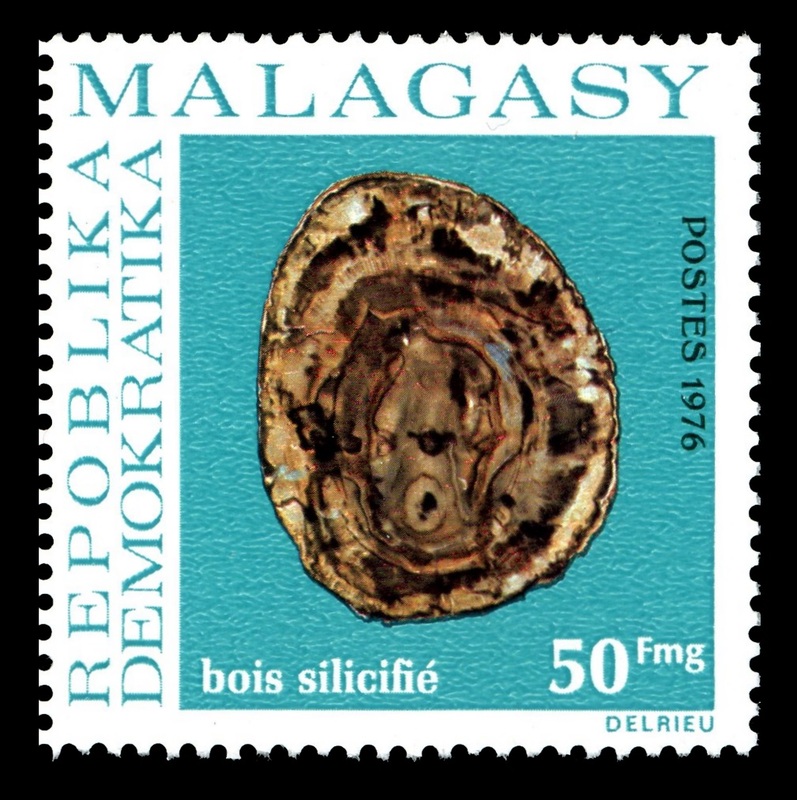 Madagascar, officially the Republic of Madagascar, and previously known as the Malagasy Republic, is an island country in the Indian Ocean, off the coast of Southeast Africa. 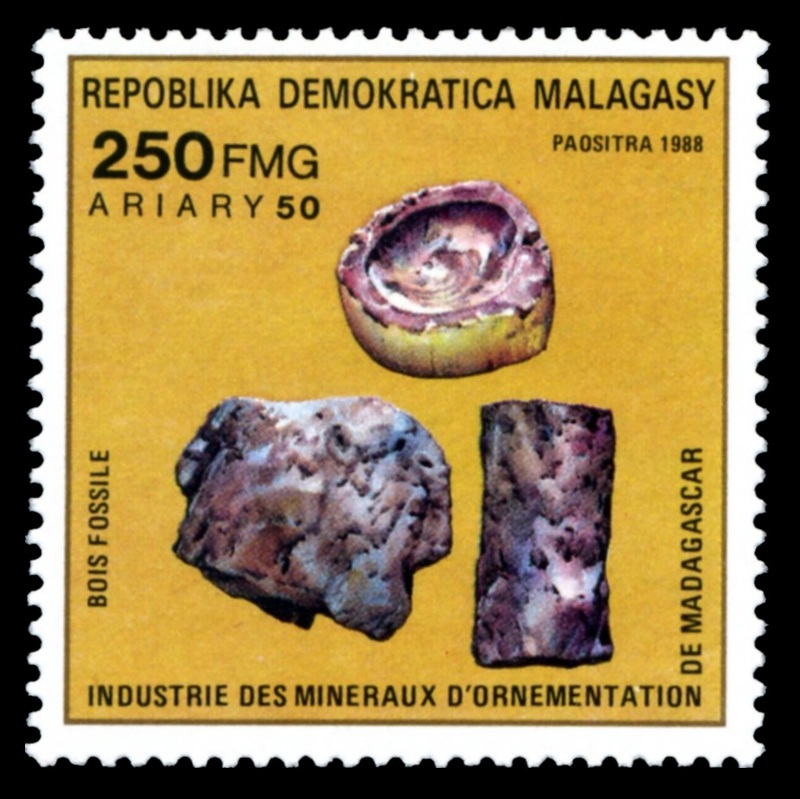 The nation comprises the island of Madagascar (the fourth-largest island in the world), and numerous smaller peripheral islands. Following the prehistoric breakup of the supercontinent Gondwana, Madagascar split from the Indian peninsula around 88 million years ago, allowing native plants and animals to evolve in relative isolation. Consequently, Madagascar is a biodiversity hotspot; over 90% of its wildlife is found nowhere else on Earth. The island's diverse ecosystems and unique wildlife are threatened by the encroachment of the rapidly growing human population and other environmental threats..
28.04.1970 "Mineral and Fossil" 07.05.1976 "Minerals"  01.02.1989 "Prehistoric Animals"
22.01.1998 "Prehistoric animals" 06.07.1999 "Dinosaurs" 06.07.1999 "Dinosaurs"
 Petrified wood shown on "Minerals", 1976 and "Mineral and Fossil", 1989 stamps. 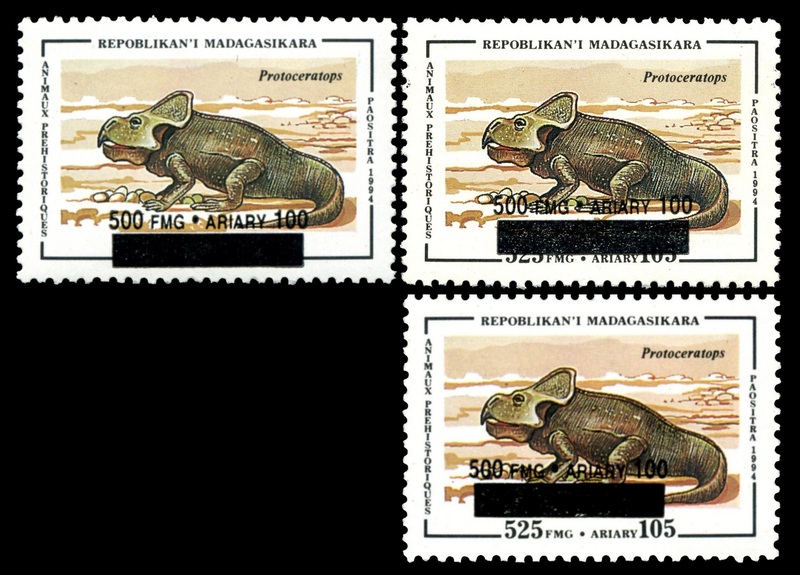 Stamps from 1989 issued in sheets and Souvenir blocks. 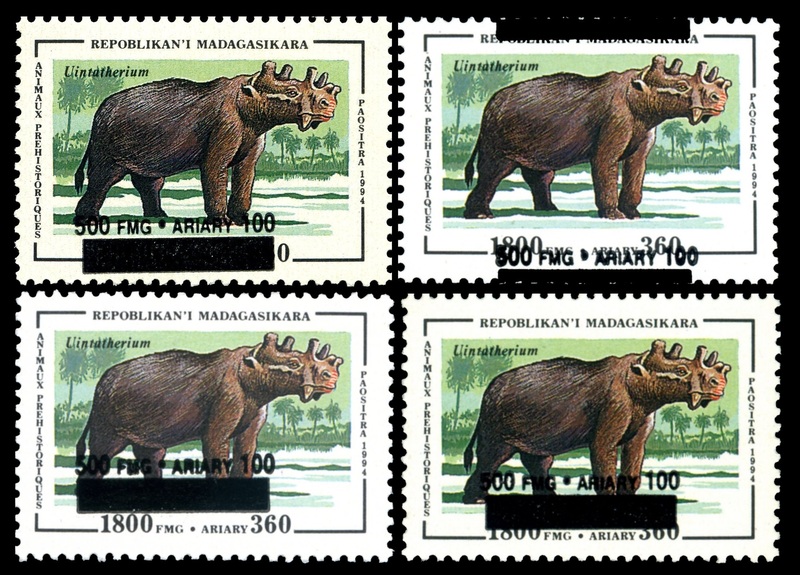 Three overprinted stamps of "Prehistoric animals" set from 1994. 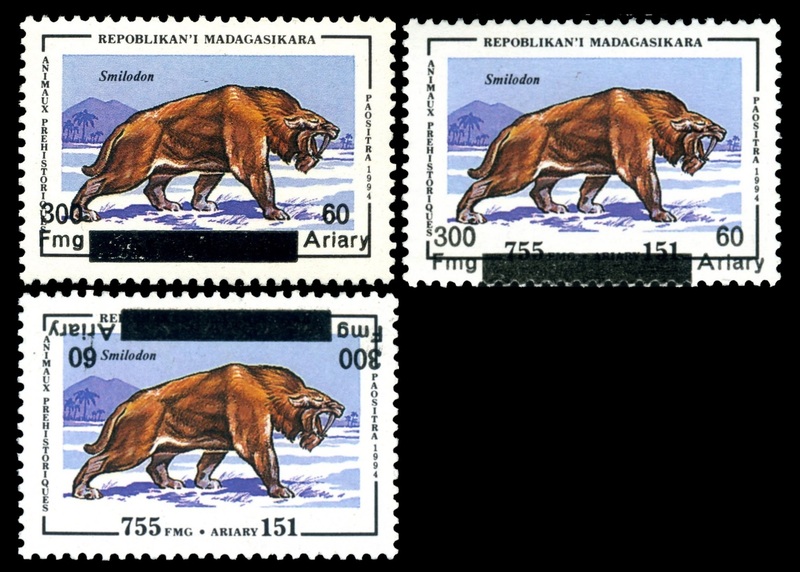 There are many variations of position of overprinted text, include inverterted overprinted text on Smilodon stamp.